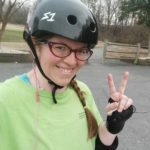 For the second consecutive year, the Charlotte Roller Girls will show its support for the Regional AIDS Interfaith Network (RAIN) by participating in AIDS Walk Charlotte. On Saturday, May 2, members of the team, many on roller skates, will lead a group of more than 3,000 caring individuals on the two-mile walk. This event raises funds for RAIN’s programs and services which are available to Charlotte community. AIDS WALK Charlotte is the largest HIV/AIDS awareness and fundraising event in the Carolinas. It’s centered around a two-mile walk through Charlotte’s Historic Fourth Ward district and is a visual representation of the community’s commitment to and compassion for those impacted by HIV and AIDS. To participate in the walk or make a donation, visit www.aidswalkcharlotte.org. 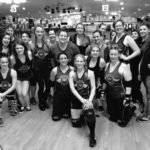 The Charlotte Roller Girls, the Queen City’s only all female flat track roller derby league, formed in 2006 with the purpose of promoting the sport of roller derby and enriching the Charlotte community. It is a not for profit organization that donates its time and a portion of bout proceeds to local charitable causes. 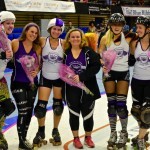 For more information on the Charlotte Roller Girls visit www.charlotterollergirls.com.